Volkswagen. Das Auto. As the name suggests the German automotive giant has been providing German engineered cars for the people in India. Several generations have known the brand for its iconic Beetle and its attention grabbing advertising all through the world. 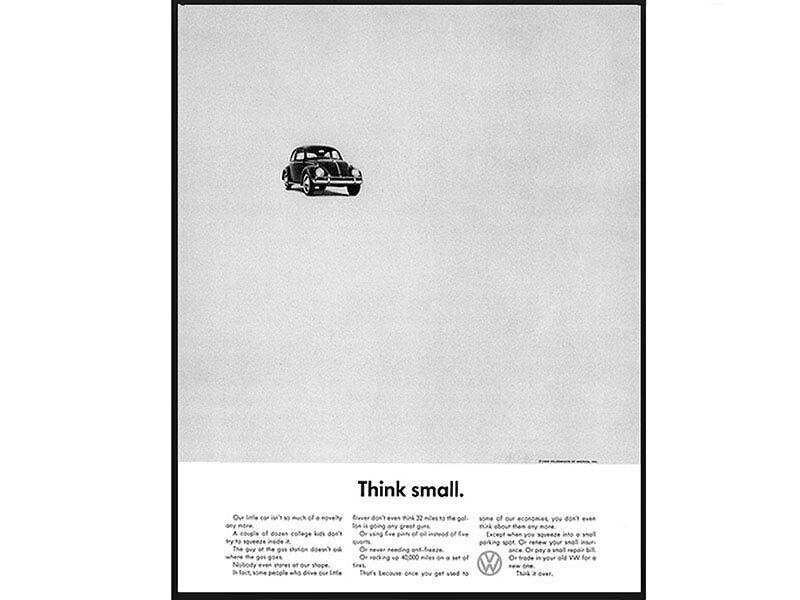 The ‘think small’ being one of the most popular ads. Closer home Volkswagen has been in India (headquartered in Mumbai) for close to a decade now. The Indian market has accepted the German engineered cars very well. Known for its strict formats, templates and guidelines, the Volkswagen advertising came as a breath of fresh air, initially. The large white space with minimalistic headlines and to the point body copy grabbed attention. The European giant made major inroads in the Indian automotive market. The brand was here to stay! In the ensuing years Volkswagen launched the top-of-the-line Passat and the Jetta, but the powerful hatchback in its category, the Volkswagen Polo was a run-away success! The Polo has helped Volkswagen garner a large amount of market share in India. The Polo took established players such as Maruti Suzuki, Honda, Ford, etc., head on. Post the success of the Polo, Volkswagen targeted the affordable family sedan segment dominated by Honda City. One interesting move by Volkswagen to make it count was the ‘99% Off on the waiting period’ ad. Typically, in the automotive business, post booking a car, customers always get hassled about waiting for their vehicle to be delivered. Using this insight Volkswagen gave us a brief to convert the “almost no waiting period” as a means to market and get booking from prospective customers. Typically all communication veers towards the features and price. The task was also to target the competition and capitalize on the fact that there was a long waiting period for all other brands. Here was an ad that stood out based on the customer insight. Simple direct creative hit where it mattered! Volkswagen got tremendous response for the Vento. The creative acumen led to increase in sales of the Volkswagen Vento. The print ad had hit the bulls eye!